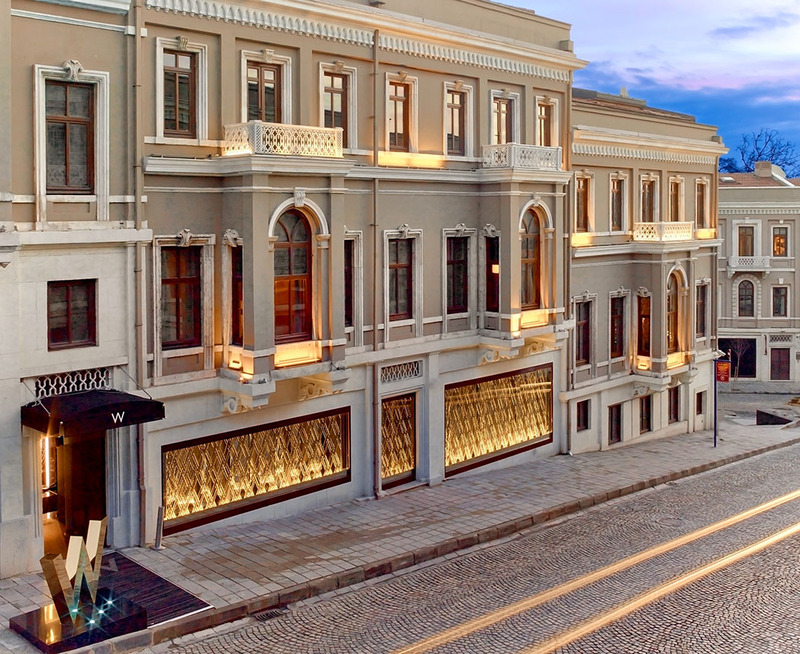 The W Istanbul serves as the centerpiece of redevelopment of the landmark Akaretler Row Houses in Besiktas. These beautiful, very tall and elegant terraced houses were built along two sides of two streets in 1875 under the reign of Sultan Abdulaziz, as living quarters for high ranking officers of the Dolmabahce Palace – a symbol of magnificence of the 19th-century Ottoman Empire. The Akaretler district of Istanbul is now known for its destination restaurants, bars and cafes and is just a few minutes’ walk from the Bosporus and all the ferries that can get you pretty much anywhere in the city. 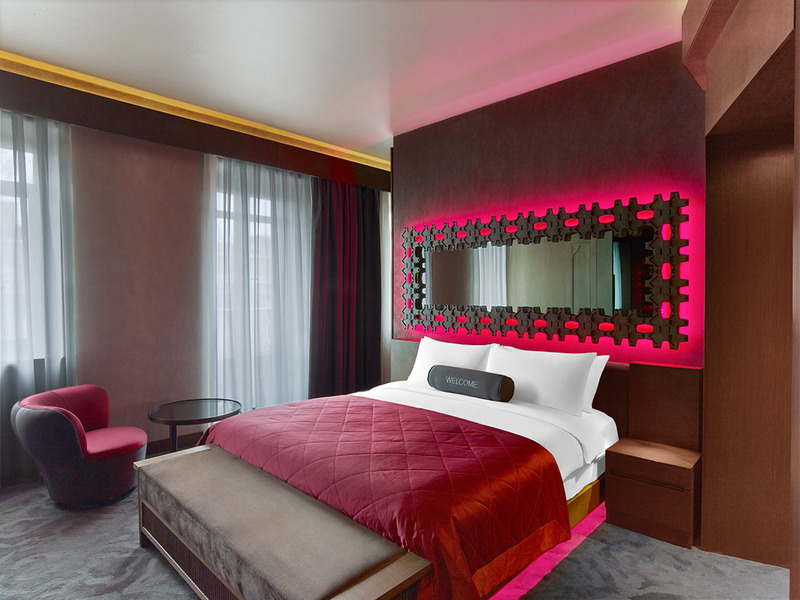 The hotel is also a stone’s throw away from Dolmabahce Palace and Istanbul Modern Art Museum and a short drive to the Old City, Sultanahmet, Hagia Sophia and the Blue Mosque. 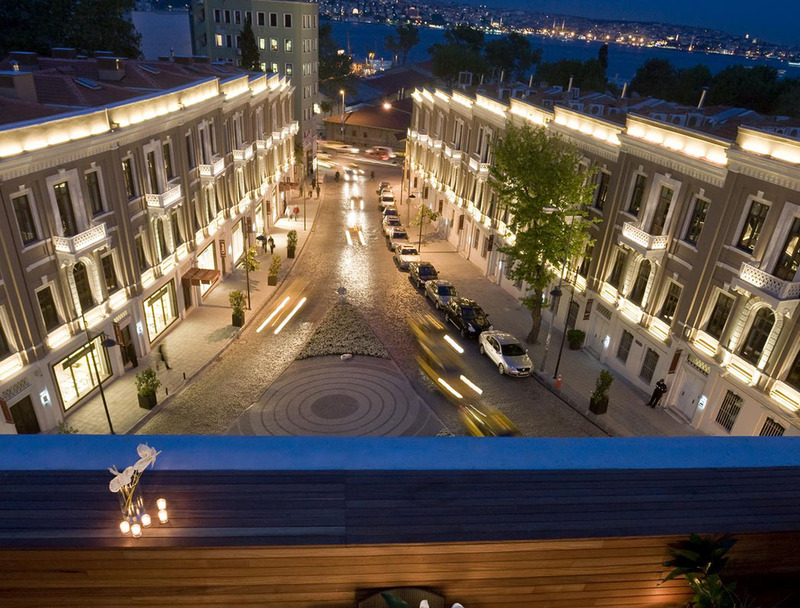 The Akaretler Row Houses were converted and renovated a few years ago into this very stylish W Hotel Istanbul. The hotel layout is a bit crazy – but that is part of its charm. Typical to W hotels it has an amazing mix of lighting and art pieces, interior decor that turns even a mundane elevator ride into something quite interesting. The ultra modern touches are contrasted by historical elements that makes the interior extra cool. The hallways are lit by a purple glowing light offset by mirrors that literally have glass and crystal glued to them. It is top notch interior design and has an ultra modern chic feel contrasts perfectly by the historic significance of the property. 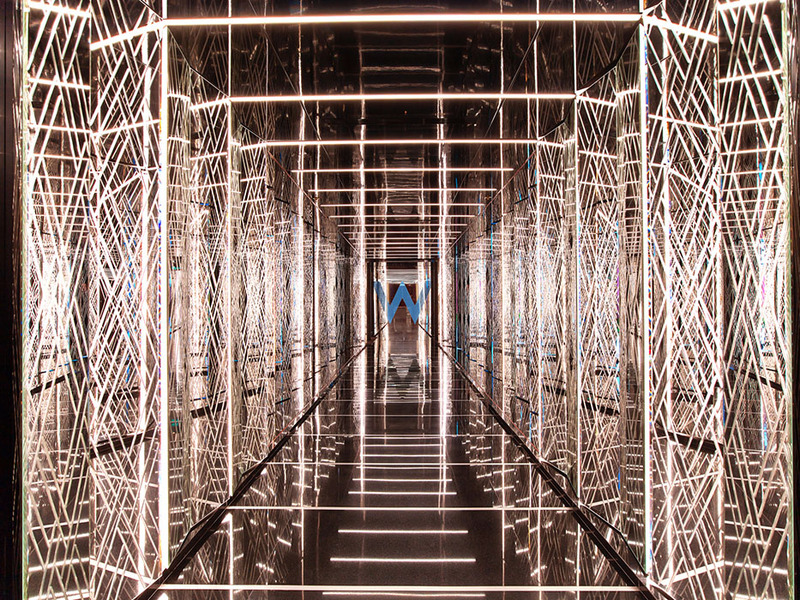 One of the highlights of this hotel is the W Lounge with it’s dramatic entrance, a tunnel of light leading to the reclusive and exclusive Lounge. This is the place to see and be seen in Istanbul. 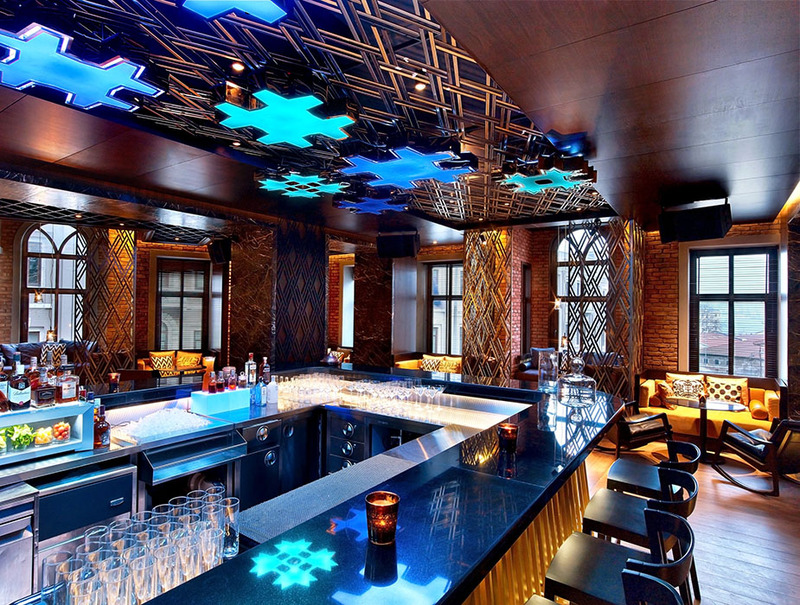 This ultra chic bar plays the finest rhythms from Istanbul’s most avant-garde DJs. Expect chill-out tracks by day, funky, electric and eclectic, mesmerizing music by night. Watch the evening evolve. Feel the temperature rise. 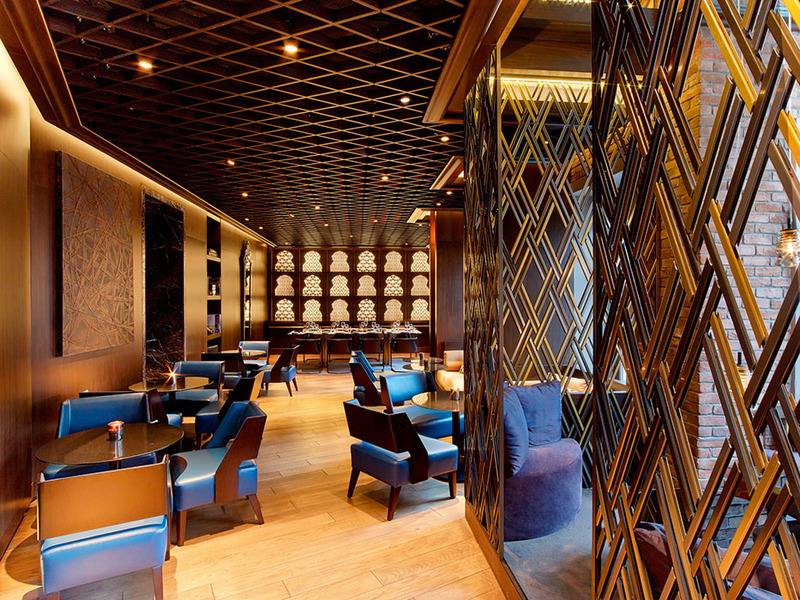 Live the vibrancy within a truly chic ambience, as you casually sip a signature W handcrafted cocktail. Gastronomic delicacies are inspired by the New World and the Far East. Themed bento boxes support the menu des petites concept which gives cuisine a distinctive look and feel that’s unique to Istanbul. Breakfast is a superb buffet with Middle Eastern breakfast fair and made-to-order eggs and other hot items. There are a number of restaurants that are part of the whole renovation complex. There is also an area close by with a myriad of bars and restaurants of all kinds as well as a nice grocery store to pick up personal to stock up your fridge. One of the most unique aspects of this hotel are the rooms and suites which have a private garden, terrace or cabana. The upper floor cabana rooms have a bridge that crosses over into your own private cabana. 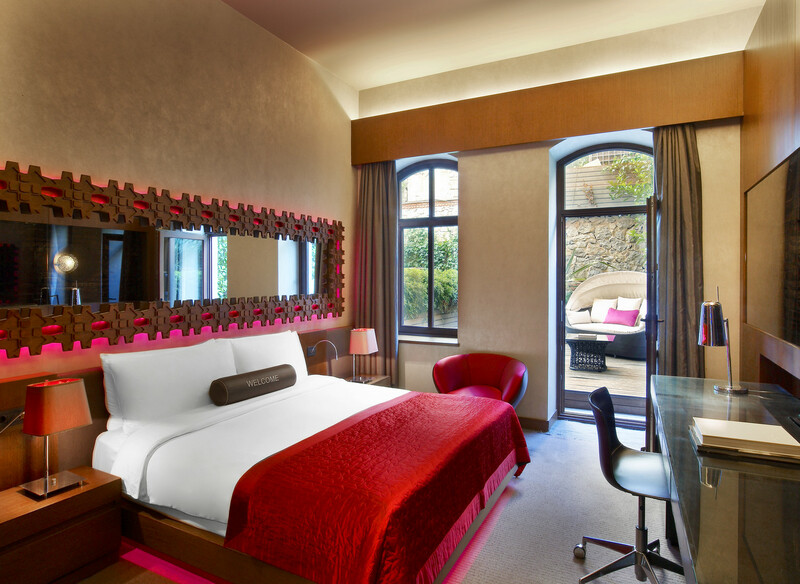 The 140 guestrooms and suites in W Istanbul carry the soul of both history and contemporary luxury. 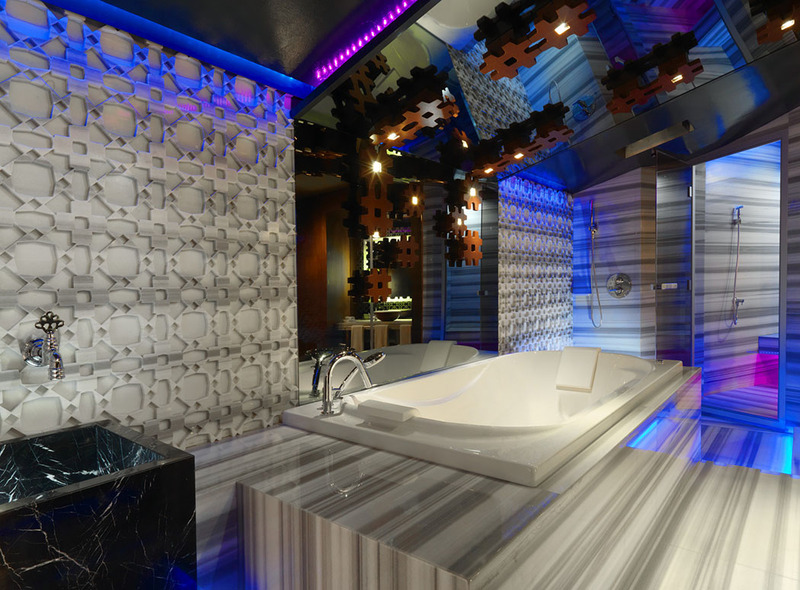 Marmara marble, Ottoman patterns, and lighting to experiment along with your mood. Rooms and suites have gardens, terraces or cabanas and are adorned with flat screen TVs, the signature W bed and stylish luxuries including massive rain shower heads and Bliss toiletries. The gardens (pictured above) are just the perfect place to relax and such an unusual use of space. 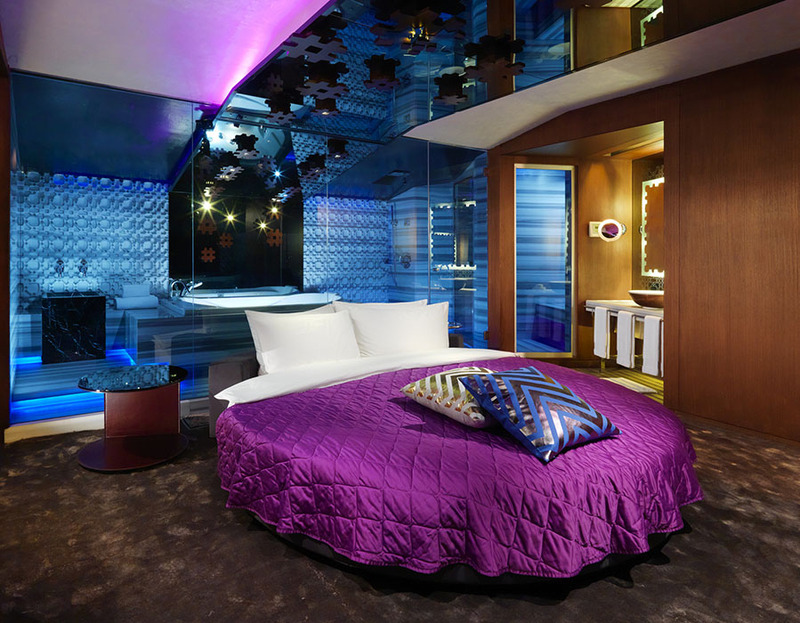 Designed by renowned Turkish designer, Mahmut Anlar, the WOW Suite is one you could stay in forever. All-the-way-up-there seven-meter high ceilings and tall windows, this suite is an airy duplex complete with a separate mezzanine-level bedroom, customized living room, stunning dining room, kitchen, 1 1/2 bathrooms and modern luxuries throughout for every whim and fancy. 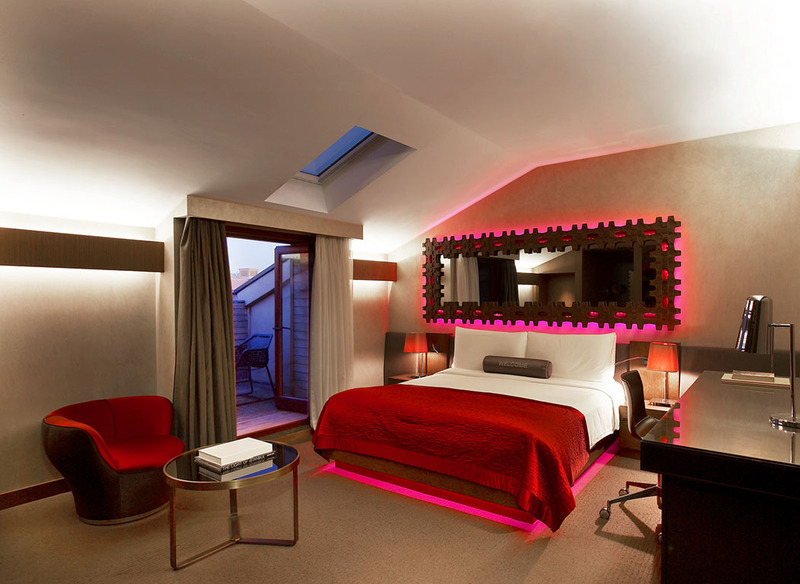 The exclusive bedroom features skylights above the spa bath, an enormous massage shower and a four poster W signature bed. The luxurious living room features a Bang & Olufsen stereo system, iPhone dock, and a 42” LG LCD flat screen TV. 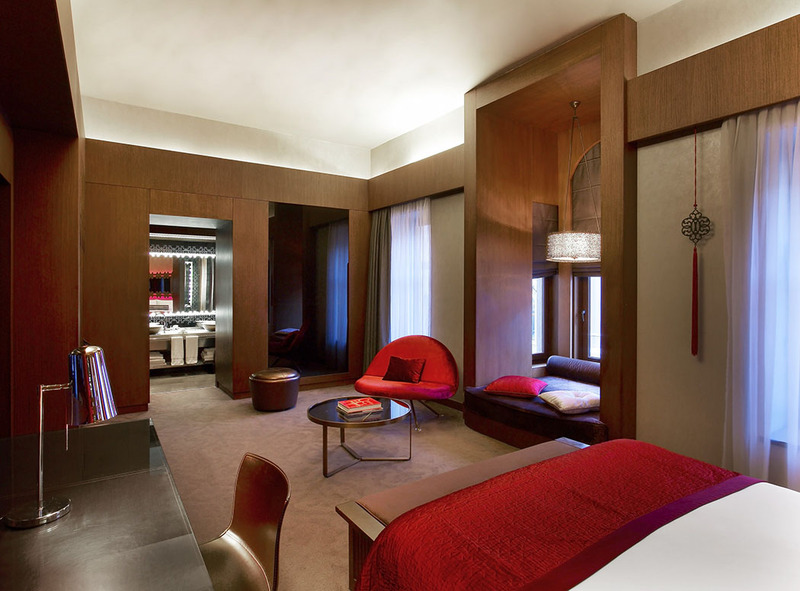 The Top Floor Rock Star Signature Suite is the best suite in the hotel. Arrive via private lift to your own floor, relax on your exclusive terrace as you take in the sunset over the Bosphorus. Recharge and sip bubbly in your room with a private traditional Turkish bath. 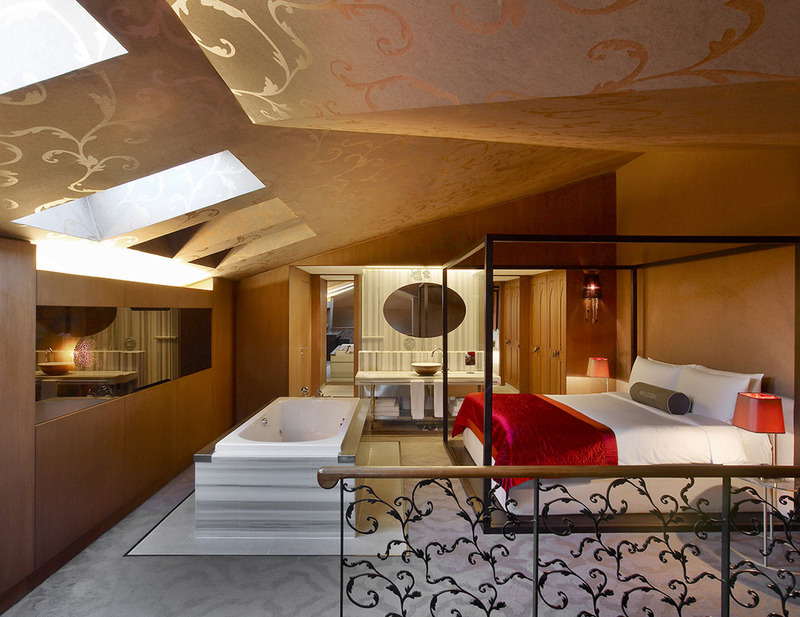 Spectacular skylights across the Extreme WOW Suite flood the suite with sunlight and a view of the starry sky. 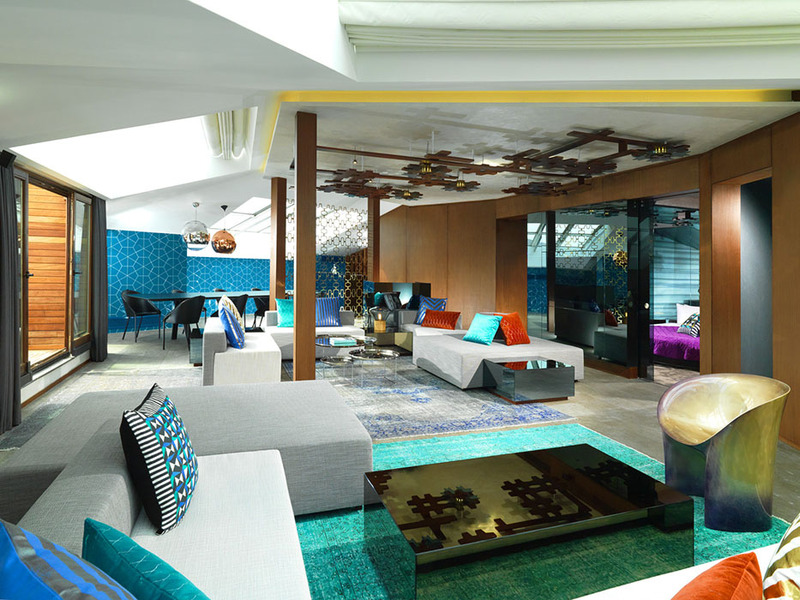 Lounge in the two living areas’ carefully hand-picked details, and a few non essentials including a DJ Booth! 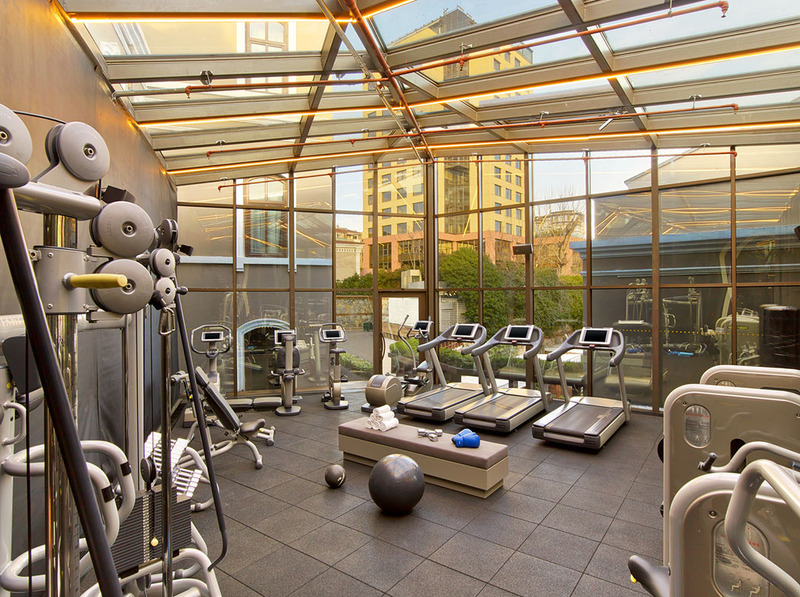 There is also a FIT Fitness center with state-of-the-art equipment and Day Spa at the W Istanbul. 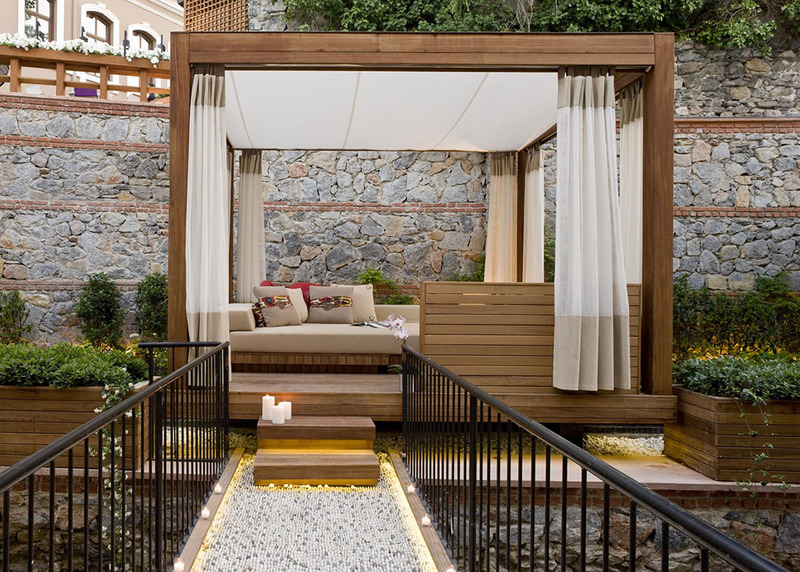 Istanbul can be hot and crowded so this hotel offers the perfect respite from both. 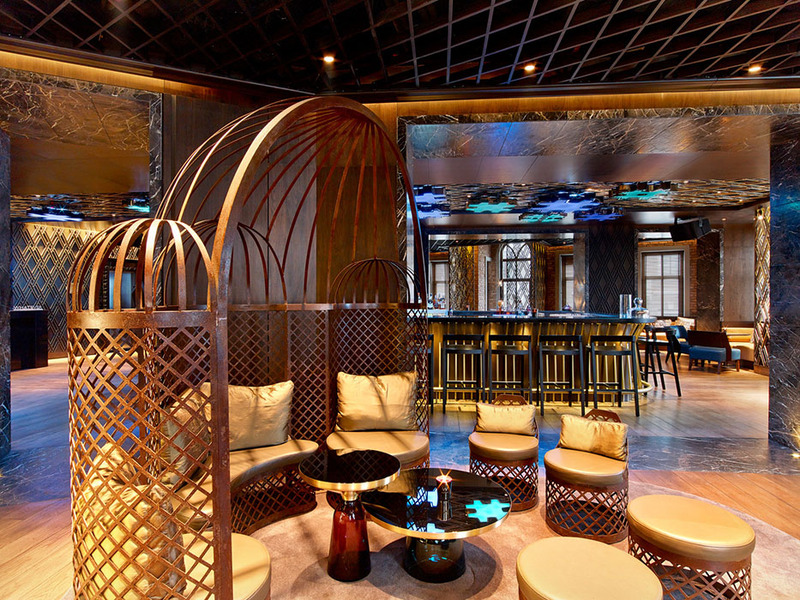 History and cosmopolitan style collides, local cuisines meet creative cocktails and ottoman opulence meets pulsating beats. What a place!